Throughout history, conquerors have thought it necessary to destroy the cultural heritage of conquered peoples in order to assert their newfound power and cement their authority. Nor is it necessary to go very far back in time to find examples of this: the events that are unfolding in Iraq and Syria here in the 21st century are just the latest episodes of this age-old tragedy. Of course cultural heritage doesn’t suffer just from deliberate ideological destruction: it can also be damaged severely by natural disasters that couldn’t be–or simply weren’t–foreseen. Occurrences like earthquakes, floods, and fires have left an indelible impact not just on human lives but on human history as well. For this reason we’ve compiled here a few examples that hopefully will refresh our memories about why we need to think “multidimensionally” about what cultural heritage preservation really means. 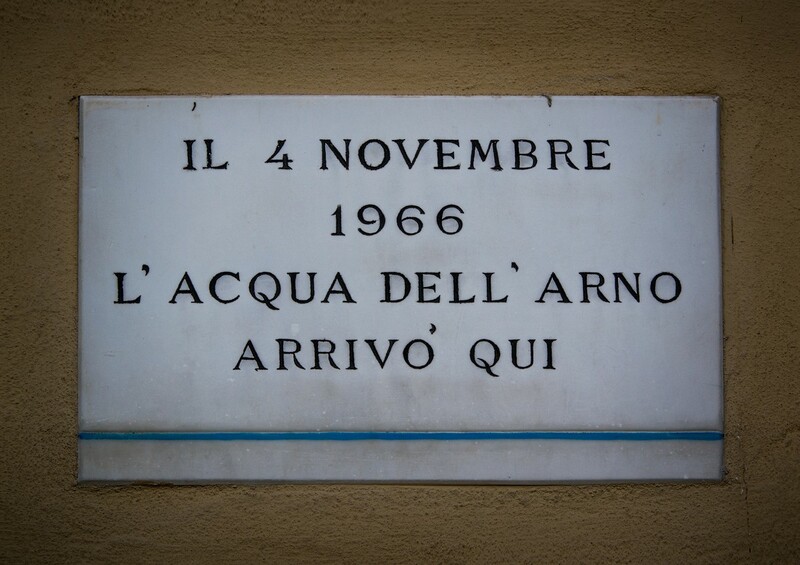 Florence was the guiding light of Renaissance Italy in the 14th century but on 4 November 1966 the Arno river on which the city is situated overflowed its banks and caused severe damage, inundating venerable libraries, churches, and art galleries and leaving behind a thick layer of mud. Priceless manuscripts, paintings, and frescoes suffered. Particularly hard-hit was the Santa Croce basilica. So horrific was the sight that volunteers flocked to the scene of the disaster from all over the world in order to take part in the ensuing rescue and restoration effort. 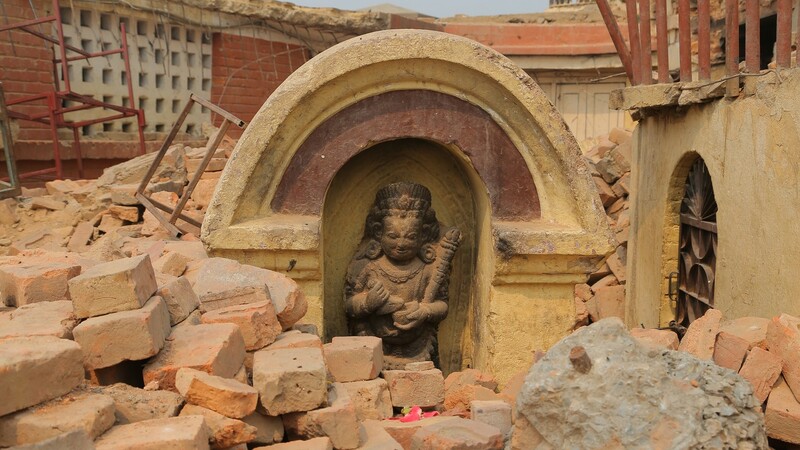 In the 7.8-magnitude earthquake that hit Nepal in 2015, thousands of people lost their lives while a centuries-old architectural heritage consisting of temples, monasteries, and other structures all suffered serious damage. Buildings associated with the plazas located opposite Nepal’s old royal palaces in Kathmandu, Patan, and Bhaktapur in the Kathmandu Valley were among the worst affected by the disaster. Nepal’s culture ministry and UNESCO took action to conserve and restore the country’s cultural heritage. UNESCO also designated seven groups of multi-ethnic monuments in the valley as a single world heritage site. 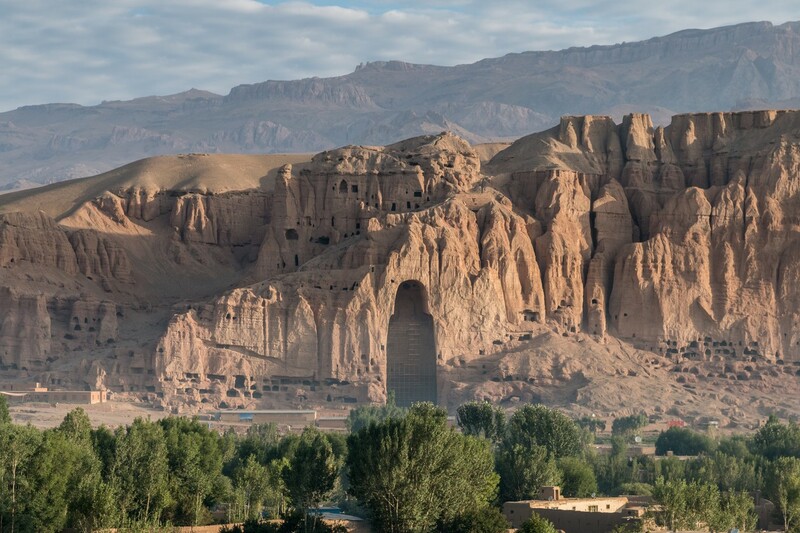 The world was appalled when, in 2001, the Taliban government of Afghanistan dynamited and demolished two gigantic (53-meter and 36-meter) statues of Buddha carved into cliffs in the Bamiyan valley. Seeking to break any links that local populations might have with their own values and histories, the Taliban denounced the statues as “idols”, regarding them as symbolic structures of a pre-Taliban past that needed to be obliterated. With the destruction of these two monuments by shelling and explosives packed around their bases, 1,500 years of history were turned into rubble and dust. In April 2016, the National Museum of Natural History in India’s capital city of New Delhi was destroyed by fire along with its entire collection. It took several hours to extinguish a fire in a building whose sprinkler system failed to operate for unknown reasons. Among the items in the museum’s collection that were reduced to ashes in the conflagration was a 160 million-year-old fossil of a sauropod. Experts said that the losses from which the museum suffered were “irreplaceable”. Located in western Africa, Mali has suffered from conflict with and among a variety of radical groups for many years. In 2012, numerous mosques and mausoleums located in the city of Timbuktu and the northern part of the country were deliberately destroyed. Timbuktu was a center of Islamic culture and learning in the 15th and 16th centuries and many of the city’s structures had been included in the UNESCO World Heritage List. About 3 thousand manuscripts were also burned around this time while perhaps 300 thousand of them were put at risk of theft and being smuggled abroad. 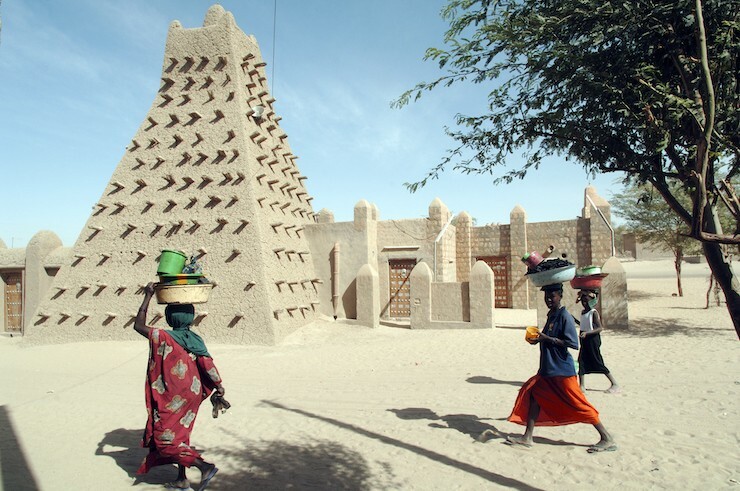 The government of Mali appealed to and worked with international organizations in an effort to protect the country’s heritage. Ahmad al-Faqi al-Mahdi, one of the militants accused of having participated in the destruction, was put on trial at the International Criminal Court in 2015. Al Mahdi is the first person to have been charged with and convicted of committing such a crime by an international tribunal. He pleaded guilty to the charges and was sentenced to nine years in prison. While a full account of the looting and ransacking to which Iraq was subjected during the country’s occupation by US forces in 2003 deserves an article of its own, it should be noted here that uncounted numbers of artefacts, manuscripts, historical documents, and paintings were stolen, looted, burned, or destroyed. Although some losses were attributable to ignorance and/or neglect, others were deliberate and in some cases were clearly “inside jobs”. What suffered during the “crazy days” that transpired was not just the cultural and historical heritage of Iraq or Mesopotamia but that of the world as a whole. The chaos which was so shocking to the world–but which should have been equally foreseeable–began in April 2003. First to be looted was the National Museum of Iraq in Baghdad while US soldiers stood by and watched. 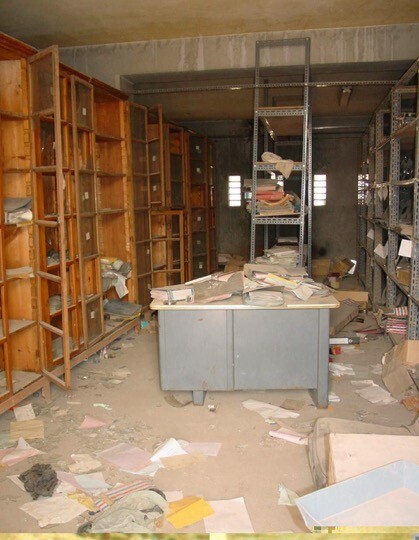 Once the dust from that assault had subsided, it became the turn of the modern art museum, the archaeological museum in Mosul, the Iraq National Library and Archive, and universities to be ransacked and ruined. About 15 thousand items went missing from the Baghdad museum alone. These included such well-known works as the 5,000-year-old Warka Vase, the Bassetki Statue (a 150-kilogram copper statue from the palace of the Akkadian ruler Naram-Sin), the heads of Apollo and Poseidon statues discovered at Hatra, and a statue of the Sumerian king Entemena as well as thousands of other pottery, metal, and ivory artefacts. Although about 8 thousand of the objects stolen from the museum have since been returned, the rest are still missing. It’s inconceivable that the cultural/historical heritages of Iraq and Syria should have been spared the destructive violence that characterizes the conflict from which both countries are suffering and whose effects will not be erased for many years if ever. That said, the whole world was shocked by the events that unfolded in Palmyra, the Mosul museum, Nimrud, and elsewhere and by the unexpected extent of the destruction that was caused. 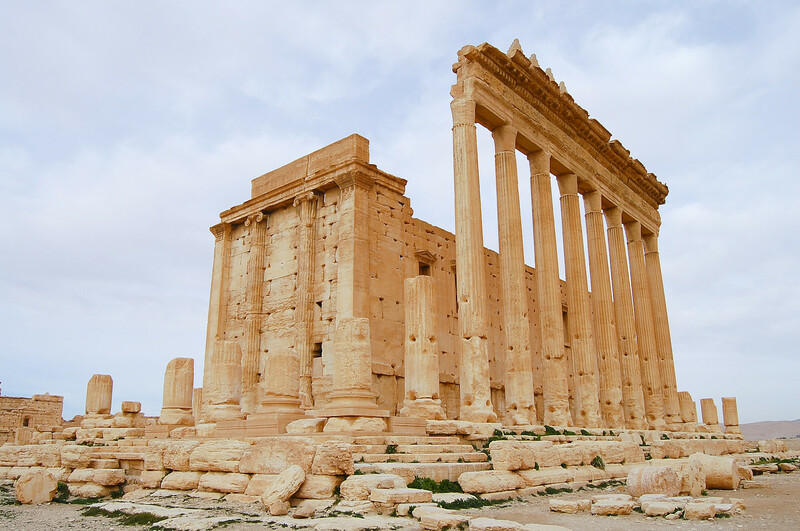 In the wake of ideologically and strategically-grounded attacks on Islamic mosques, shrines, and tombs, the international community suddenly sat up and took notice when the vandalism reached the site of ancient Palmyra–“The Pearl of the Desert” (or as Syrians refer to it “The Bride”). Palmyra’s ancient Bel and Baalshamin temples were demolished with explosives. Other ISIS targets in Palmyra included the city’s Arch of Septimius Severus and the “Lion of Al-lat” statue. Although much of the Palmyra museum’s collection managed to survive thanks to its having been spirited away to a safe place, the site itself suffered tremendous damage. Nor were buildings the only casualties of ISID’s violence. One victim was Khaled al-Asaad, the 82-year-old Syrian archaeologist who had overseen the Palmyra excavations and museum for decades. After being interrogated for a month and refusing to reveal the location of the hidden artefacts, he was publicly beheaded and his decapitated corpse was left on display. In Iraq, the extent of ISID’s vandalism encompassed the sites of ancient Nimrud, Nineveh, and Hatra as well as Mosul’s museum and libraries. A video of the museum’s artefacts being destroyed by the group was published online as propaganda. And yet for all of its “ideological purity”, ISID didn’t just destroy cultural heritage: the group also regarded it as a source of revenue and sold it off through systematic plundering of valuable objects that ended up in international illicit trafficking networks. The discovery of hundreds of archaeological artefacts in the house of one of ISID’s leaders after Mosul was liberated is evidence of this. The full extent of the damage caused to Iraq and Syria’s cultural heritage during ISID’s brief control will probably never be known, certainly not so long as the violence in both countries persists. What is undeniable however is that humankind itself has suffered irreparable losses.